Summer Arts Kick Off is offering kids “try it out” summer arts activities, face painting and more. EATON — The Preble County Art Association is kicking off summer with Summer Arts Kick Off, a free family event. Summer Arts Kick Off is offering kids “try it out” summer arts activities, face painting, special $10 off PCAA Summer Camp registrations, gallery opening for Creative Connections youth art show, special animal visitors from Safari Junction, treats from Needler’s Fresh Market, no sitting fees on Painted Pottery, and an interactive artist demo with Comic Book Artist, Adam Fields. This event is sponsored in part by Safari Junction and Needler’s Fresh Market. Creative Connections, a new exhibit will celebrate its opening as part of this event. Youth for Creative Community, a K-12 free (with membership) class offered at the Art Center, has created exhibition. Creative Connections features brightly painted, wood cut outs of animals from around the globe that are displayed throughout the gallery. Youth for Creative Community is a class that builds skills and emphasizes the role of community. This class helps participating kids develop a sense of pride and teamwork which goes beyond the classroom. These skills help participants to be creative in our community, according to organizers. The PCAA is located at 601 Hillcrest Dr. in Eaton. Call 937-456-3999 or email classes@preblearts.org for more information. 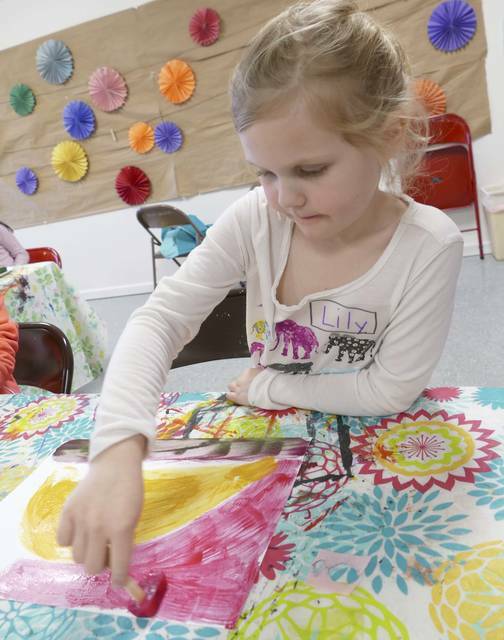 https://www.registerherald.com/wp-content/uploads/sites/41/2018/05/web1_SB-Camp-2018000502018428212712572.jpgSummer Arts Kick Off is offering kids “try it out” summer arts activities, face painting and more.